I don’t know about you but having to cook every single night apart from the odd times we go to a restaurant can be tough when you need to come up with dinner ideas on a limited budget. Add in a kid or two to the mix and you’ve got to think fast if you don’t already have your meal plan ready for the evening. We like to create meals that are fast which means 30-minute meals are a plus in our kitchen. Meal prep goes a long way so sometimes less is better when it comes to week-night dinners and the amount of ingredients you use. Save those hearty, complicated dinner ideas that take hours to cook for the weekend or for days you’re not working. This way you have more time to dedicate to the meal rather than having to rush. One of the greatest successes of being organized is that if you are in charge of the kitchen and grocery shopping you know that meal planning and lists are VERY important. I often get fans asking me and visiting the blog looking for meals that aren’t too heavy on the wallet as they run a tight budget but in general, fans just want dinner ideas. The worst thing that can happen when you thinking about dinner ideas on the spot is your refrigerator is empty. Another downside would be that you don’t have enough of certain ingredients in the house to fling a meal together when you are in a pinch. I know many fans tell me they prepare freezer meals for those situations but not everyone gets ahead of the game like that or enjoys re-heating cooked food. Now that we are parents our lives have done a right turn-around. I can honestly say it was nice to have the freedom to cook any time I wanted to without distraction. Now, it’s a game of patience marked with making sure I don’t mess anything up. Our son is still young so coming up with easy dinner ideas is important for my wife and I. Our son is about 2 months into eating solids but not so much what we eat. He eats mainly fruits and veg that we puree for him although he’s starting to eye up our meals. Being a parent has certainly shown us how challenging it can be not only trying to keep the house running smooth with my wife but trying NOT to order out or slop together a meal because we are too tired. I often go to the CBB fans for inspiration and dinner ideas and the What’s For Dinner thread on my Facebook page every night is a world of culinary delight. It’s all about home-cooking and the ladies and gentlemen that share their food and recipes with all of us certainly motivate us to think cooking outside of the box. We can easily search online for dinner ideas like you might be today but what’s even better is when the people who make the recipes actually tell you if it tastes good or not. Every recipe on CBB has been created by myself, Nicola or a fan so we know what they taste like. The CBB recipe index is filled with recipes that were created with the frugal shopper in mind. Note: I’ve edited some of these to fit the blog. 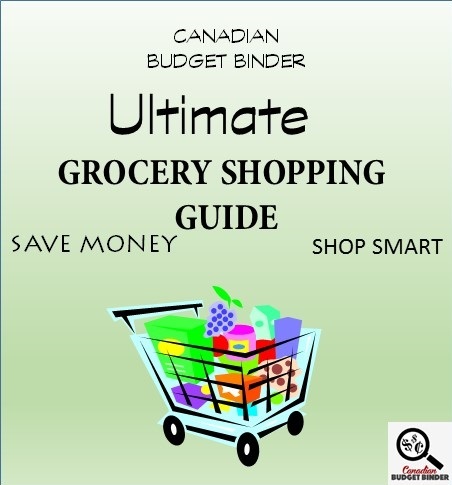 Together with our CBB fans I wanted to create this post so I had them help me come up with a list of dinner ideas for those on a limited grocery budget like us. I don’t have the recipe for each one of these dinner ideas but this is only meant to fire up your culinary senses to help you get cooking. A huge thanks to all of my fans who shared their dinner ideas with us last night. If only we could have a huge CBB pot-luck now. I keep telling my hub that I don’t think it is always what you pay per-pound for something, it is the price you pay for the meal. Something might cost a little more per pound for a cut of meat, but if it feeds the two of us for a very reasonable price, then that is all that matters. I have a pot of white beans soaking right now. I just have to slow-cook them and then they are ready to eat white beans that have absorbed most of the cooking water on bread and butter, add a dash of pepper. This was what my Dad cooked for us that he made back in the dirty thirties…only then there wasn’t the butter.- Colleen K.
Western sandwiches and homemade fries. Spaghetti is also inexpensive and filling…..and you can add all the veggies you want to your sauce. If you like curry dishes you can make a butter chicken fairly cheap……just add bottled sauce to your chicken and make some rice to go with it. Then if you have left over veggies from earlier in the week make a stir fry with them…you can add meat, or not!-Karen M.
Thrifty meals here tend to be pasta meals, spaghetti, mac and cheese, penne or tortellini with leftover spaghetti sauce. I get pasta and cheese on sale as much as possible. Eggs are another way to make a frugal meal. I make a potato cheese omelet here. Rice makes for a nice frugal side dish (try her pineapple rice dish) and makes great leftovers.- Christine W.
Some frugal meals we make are: homemade vegetable soup, chili, spaghetti, goulash, and I find as long as you have a bag of potatoes in the house there’s always something to cook. Fried potatoes, mashed potatoes, salad, homemade fries, baked potato, etc.- Wendy L.
Our cheap meals would be pasta tossed basil and oil with fresh chopped tomato and boiled peas mixed in. Or fried rice with black beans, onions and grated veggies and a touch of hot sauce to spice it up. I add leftover meat if we have any.-Pat C.
Red Beans and Rice. Hard to beat for bang for your buck. Crock-pot cooking makes it work for even the busiest households. I make garlic bread out of hot dog buns. If you can afford it, throw some sliced sausages in the pot. But if you add onions, garlic and peppers to the beans you really do not need the sausages.-Karol K.
Pasta bake with leftover or frozen veg, spaghetti sauce. Top with shredded cheese and parmigiana cheese.- Jen S.
Homemade mac n cheese with whatever left over meat or veggies.- Shellie C.
Cheap meals we make include stir fry, spaghetti and sauce, pancakes, soup, eggs and toast, pasta bakes, salads, baked potatoes served with steamed carrots and peas.-Angela M.
I think it depends on what part of the country you are from. Dry soup mixes work very well for being cheap meals. There’s always the 6-3-4 plan, 6 minutes to prepare, $3 per meal, feeds 4 people.-Adrian M.
My family’s cheap meals are macaroni and cheese with hot dogs or with vegetables and tuna. My mom used to make goulash but us kids called it “clean out the fridge” night as so many leftovers was put in it. I agree about the homemade pizza but you can use English muffins or wraps instead of a pizza dough so that everybody can have their own choice of toppings.–Della F.
Poor man stir fry…..chunk bologna cut up in cubes (use as much or as little as you want to make it stretch), big chunks of onions and green peppers and a can of mushrooms….stir fry together…..add some cooked rice and soya sauce…done.-Colleen K.
I would go straight to the pasta in the cupboard. If I had to go several days, I would visit the vegetable sales at the local grocery store. Thinking loaded potatoes, stuffed acorn squash, carrots with onions and brown sugar. Tonight, after three days and nights with a yurpy granddaughter, I am on my own with rock-fish with red bell peppers and parsley potatoes.-Tanis G.
We love homemade pizza. We make our own dough. Then you can put on anything you have. Great way to use up vegetables or leftover meat.- Elizabeth H.
Inexpensive meals for me tend to be veggie meals. I love corn chowder, macaroni and tomatoes or omelets/fried eggs,and veggie chilli. I find any soup very inexpensive especially with homemade biscuits. Soups are filling and can be made of anything. A really good clean out the fridge meal that you can add any spice to make it great.-Michelle K.
When we were young and poor, our cheap meal was a box of mac and cheese (about 20 cents back then), a can of tuna and a can of cream of mushroom (or celery) soup. Threw in a few frozen peas for some color. We got 2-3 meals out of it.-Pat S.
Oven fried chicken, mashed taters and corn on the cob. I buy bone in chicken (boneless doesn’t cook as well and is more expensive). Heat oven to 425°. Then I get this chicken breaded (light coat)from Autry House. Spray chicken after breading w/ EVOO (Extra-Virgin Olive Oil for those of you that didn’t know that) or vegetable oil. Place in pan, cook for 45 mins. Breast, legs, thighs all cook the same amount of time. People are shocked after eating that it was oven cooked. It will be the juiciest chicken u ever eat. Simple, easy, & cheap!! Hope u enjoy!-Susan S.
Sloppy Joes makes a great cheap meal couple it with french fries and its a family favorite–Jeffery S.
For best cheap eats, legumes are your best bet. I can easy add them to my favorite casserole, soup or one pot meal either in place of meat or with a reduced amount of meat.-Penny W.
Learned a recipe at a workshop, soak red lentils overnight, saute onions and tomatoes in a little oil until soft, add spices (cumin and paprika) soaked lentils and chicken stock. Eat with soft bread. So delicious and cheap.-Endie W.
And… that’s how it’s done my friends! 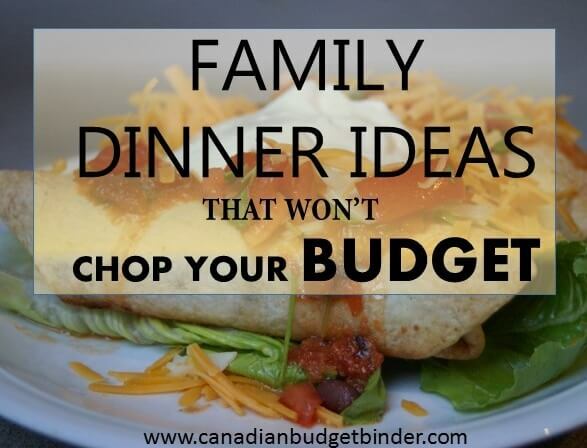 What other dinner ideas can you share for those on a tight budget? Total-out-pocket $17.29 plus $25.69 Sesame oil stockpiled. I am happy that will be the last time we gotta pay $4.99 for strawberries for awhile since I have been seeing them on sale for $3.99 for 2lbs and will take advantage of that! You know me! If I can find a good sale and a coupon then I will probably buy it. She really loves squash and sweet potato but we think blueberries are her favourite. She just turned 15 months!!! Time as been going by so quickly. We are glad we have been taking loads of pics so e don’t forget any moments. We have fed her yogurt a few times and she loved it, I tried her on astro organic vanilla but have forgotten all about it till now. Thanks for the reminder. I will carry over the $40 on the yearly amount to try and balance it out later. I got my envie in the mail yesterday and was wondering who it had come from. So Thank You!!!!!! $2.47×4 cream cheese -500pc points each! I am over for the month by $40 but I wanted to stock up on diapers before the coupons expired and not sure when more come out and bought enough food for little miss to last a week or a week and a half. The strawberries weren’t too bad at $4.99 for 2lbs as we are paying around $4.00 which is similar. I agree when you have coupons for diapers stock up while you can. You don’t just get handed coupons either. Your little one lovers her squash. How old is she now? Does she eat yogurt or pudding? Will you carry over the $40? You get ballot. 5 P.S Your coupon prize went into the mail today so let me know when you get it. I’m late posting, but I still have been keeping track. I want to make myself stay on top of the groceries this year, so better late than never, lol! It was an alright week. We’ve been going through a lot of veggies the last couple of weeks, so that was the focus. I just wish they cost less. Price matched as much as possible, but the veggies are going to be tough to keep up with at that cost. We caught up on the earlier overspending at the beginning of the month and finally had some to put into the carry over jar. That will leave us with really 80.00 to spend next week. Not bad at all. If we need to take some of that carryover it will come out of the jar, and I really don’t want to dip into that jar. We got the egg coupons from websaver.ca The last couple of years they have put that coupon up buy 2 dozen save a $1. All the people I know that order snag that coupon for me. We love that one, and we go through a lot of eggs. From baking to eggs for breakfast, lunch and dinner. It is our cheapest protein, especially when we price match to Shoppers. Weekly Overview: I went over for the week but did get to No Frills again this month. 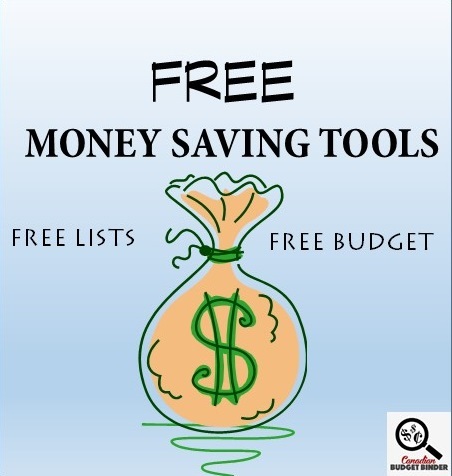 I’m using the savings from Jan and Feb to cover some of it. I will still have my work cut out for me getting back on track. Cooking the turkey in the freezer for Easter will help as I will get a good number of meals out of the bird…. The sugar was a 3 day sale at Canadian Tire. This week we didn’t have have any reduced food, except the mushrooms, and I don’t know what the original price would be. The rest were buying what we needed, at the lowest price. Aldi is about 45 minutes away, but it was more of a ‘let’s go for a drive’ kind of day. The chicken was frozen, but cheaper. The hamburg was bulk, but like getting 500g free. The other stores never had it cheaper while we shopped. Strawberries are still expensive, but we splurge on them. The bread was cheap, so we stocked up. Those mushrooms were in a fruit/veg market, but the local grocery store was selling them for $12.99kg. The avocado we usually just slice up, and add to a chicken sandwich, or in a garden salad. Yes, it is just one big one. They do have bags of smaller one,.6 for $6.99, I think, but they would be mostly pit (not much fruit). I don’t find they have much flavour, but they are good for you.These washed potatoes were cheaper than the unwashed. The regular price for strawberries keeps jumping around at the store.One day it is 2.99 and 4.98 another..without even been reduced. Hubby scored a bunch of awesome rain checks this week at both Safeway and Thrifty Foods and the next time he has a “feed me pizza” moment…we’ll be able to do it relatively cheaply. Our favorite marinara base was on sale so it was time to get a rain check for those as well. I still have 3 jars in the pantry, but a rain check means I don’t have to pay full price on the next re-stock. We scored big time with two rain checks for 4 dozen eggs on each rain check priced @ 2 dozen for $5.00. That’s 8 dozen eggs for $20.00! I can freeze a supply at that price!! Hubby and I decided that we’ll postpone our US shopping trip until we are vacationing in May. It’s really not that far off and I am really tired after the tax season. We also decided that we would consciously “go over” on our Canadian budget this month 🙁 and then make it up from the funds that would normally go into the US reserve, borscht & re-stocking reserves in April. We’ll add to the those reserves again in May and we are going to continue to contribute to the holiday and summer reserves during the month of April… so not all the reserves have been abandoned. 2 Island Gold Large Brown Eggs (2 for $5) << rain checks instead! OUR NEXT USA SHOP WILL BE May 18th! OUR TOTAL UNUSED RESERVES ARE $1,102.50 … that is a $937.50 carry-forward from 2013 & 2014 and $165.00 in NEW 2015 savings. This also means that with $190.00 to start MARCH less $55.00 transferred to the various savings reserves less $10.53 transferred for Points Redeemed during JAN/FEB = $75.51 + an additional $50.00 saved in our US grocery reserve, we opened the month of MARCH with $74.47 available to spend on the Canadian side of the border, less an overage of $0.00 carried forward from February, PLUS we have spent $153.89 on our groceries (cash & points) so this month and have $79.42 OVERAGE for the month in our CANADIAN budgeted grocery funds and will carry the overage forward into April. We have groceries that have been purchased using points redeemed, rather than the budgeted cash in the amount of $30.93. Available as an offset, we currently have $30.93 in our UNUSED CASH RESERVE. As at this moment, we need and additional $0.00 in the UNUSED CASH RESERVE. If our budget is truly sufficient, when we reach December 31st, the unused funds should still be equal to, if not greater than, the value of the points redeemed. It’ll be interesting to see if they actually are. Note: Another reserve of $283.07 IS AVAILABLE for our next US shop currently scheduled for May 18th! You are so proud of those rain checks and you should be they are great. Eggs are always a welcome savings if you can snag a deal these days. Your reserve for the US in May is a decent amount. How much would you typically spend in the USA on a grocery trip? I spend somewhere between $200-250 usually on a US trip if I am doing a big re-stock after a long absence from shopping south of the line. This next shop will be the first time though that we are shopping in the US since the Canadian dollar free fall… so it may be less. I will only buy the items that are actually a saving after the exchange or that are gluten free and I can not get in Canada. Lots of great frugal meal ideas! Love reading your posts.